WASHINGTON — After years of speculation regarding repairs and remodeling, the Arlington Memorial Bridge will finally be getting a $227 million makeover, sponsored by a Bravo reality TV show, sources confirmed Monday. 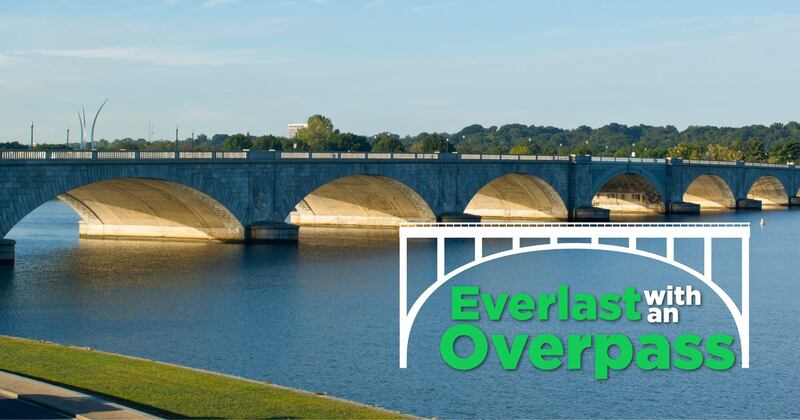 The bridge, which was opened to traffic in 1932, will be the subject of Bravo’s new series “Everlast With An Overpass.” The show will air from late 2018 and into 2019 as the remodeling is planned and started. The Department of the Interior initially reached out to Bravo about the idea in 2017. During the show, the bridge will receive procedures such as an abutment augmentation, a floor beam chemical peel, and possibly an ombre paint job on the decking. There is also talk of contouring the parapets for a slimmer, more defined look. The show’s host, Eliza Brewster, says she’s excited for the task of remodeling the six-lane bridge. The series will debut as the renovations begin next fall. If the show is successful, officials from Bravo have mentioned the possibility of a spin-off series focusing on the Lincoln Memorial.